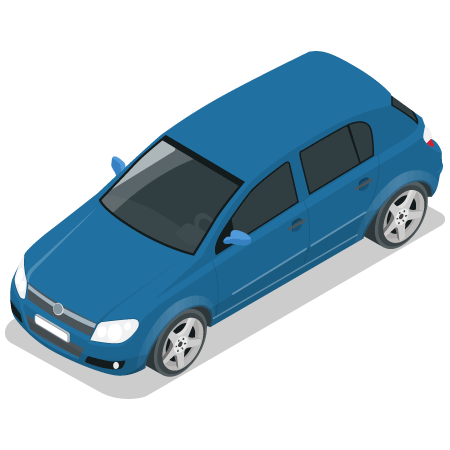 A logbook loan is a loan that’s secured on your car, van or motorbike, using the value of your vehicle as security – this type of loan usually allows you to borrow money even if you have a poor credit score* and without needing to use a guarantor. When you take out a logbook loan, the lender effectively takes over ownership of the vehicle via your V5 logbook, but you get to keep possession so you can still drive it – once you’ve paid the loan back, the V5 is delivered back to you. * Logbook loans can be granted to individuals with a poor credit history or rating, subject to affordability assessments. Are they the best loans for bad credit? Payday loans, and some other types of ‘bad credit’ loans, do not require an asset as security. In comparison, if you do have a vehicle, logbook loans may be one of the best loans for bad credit as they typically offer longer repayment terms and better interest rates. Also, providing there’s enough value in your car and subject to affordability, you could borrow a larger sum of money than shorter term loans usually allow. Because logbook loans are secured against the value of your car, they can be one of the best loans for bad credit, as you’re using something you already own as security. This means that, providing you can afford to pay back the loan on the terms offered when you complete the instant logbook loan application, it might not matter if you have a bad credit rating – we may still be able to lend you money. Our online logbook loan application only takes around 5 minutes to complete! Many borrowers receive an online decision in just a few minutes from application. We explain all steps of the application clearly, so you know exactly what to do next. Our secure service allows you to share banking transactions without any worry. Get accepted via our fast track service, with many loans underwritten within 30 minutes. We can offer loans of up to 80% of the value of your vehicle, subject to affordability. Logbook loans – bad credit doesn’t have to be a barrier! We hope we’ve answered the question “What is a logbook loan” clearly for you but remember that our UK based team are always on hand to help if you need any more assistance – so if you’re not sure if a logbook loan is the best loan for you, give get in touch and we’ll be happy to help!